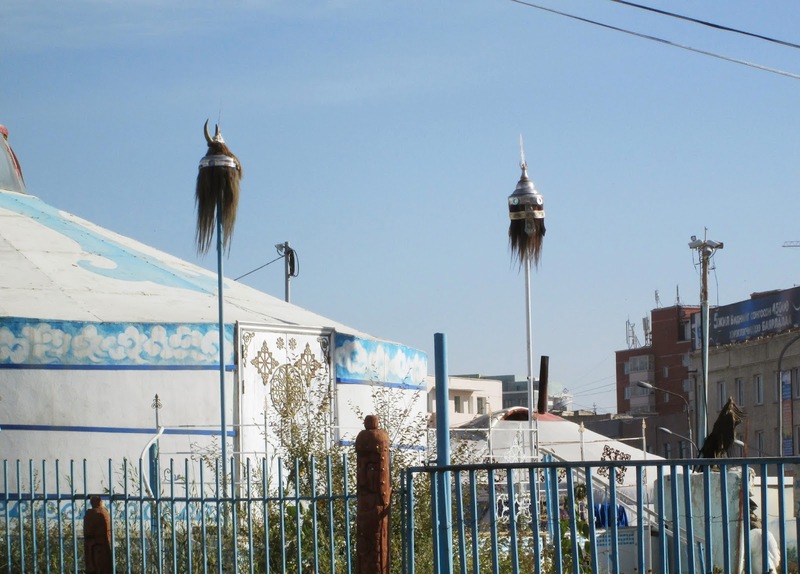 Since the 5th C, Central Asian nomads have used round, felt-covered yurts with collapsible wooden frames as portable housing when herding sheep, horses and cattle. Pasturalist nomads are not constantly on the move as we understand the word “nomad”. Unlike the caravans of the Silk Road which moved from town to oasis town carrying merchandise, pasturalists move their herds from winter to summer pastures and live in semi-permanent camps. Some keep both locations and moved their livestock between them. 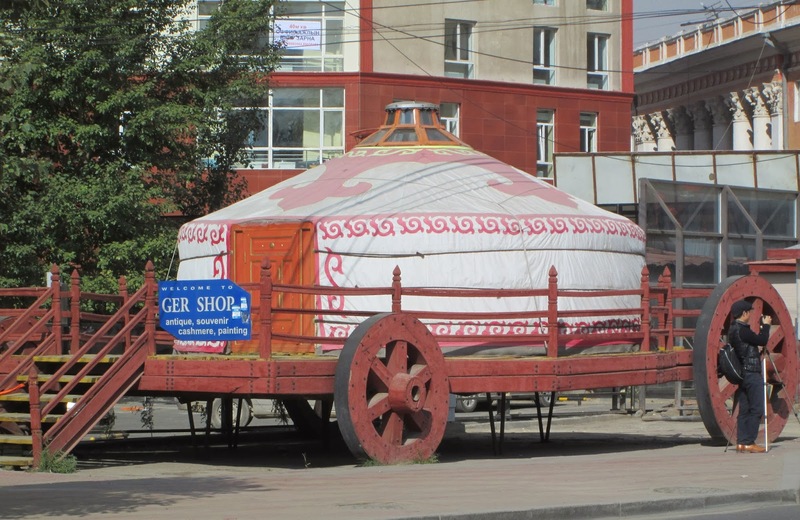 The yurt (called “ger” in Mongolia) while capable of being transported, was not easily assembled, as say a tent would be. Yurts can be transported by cart ( now of course by truck) and constructed on site. The walls are made of hand-hewn willow and poplar branches that are joined by leather thongs. Wooden door frames are hung with intricately carved doors and there is a domed smokehole in the roof’s center. Following the erection of the frame the yurt is draped in wool felt mats and an outer covering of reed mats which protect and add insulation. Lightweight, yet sturdy, they are earthquake resistant amd provide excellent protection from wind and cold. 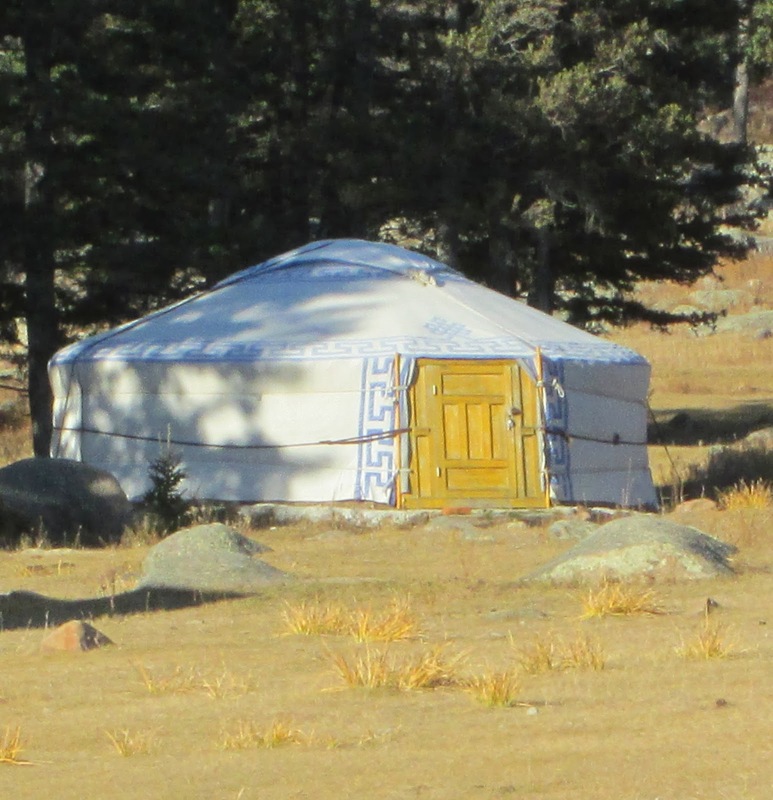 Ordinary yurts are a plain gray. Those for weddings and other ceremonies are white and lavishly decorated. Felt rugs are used as interior wall, ceiling and floor coverings may be decorated with inlaid patterns cut from colored felt or appliqué or embroidery. All dyes are natural and colors are generally shades of red, blue and brown. The yurt’s interior is surprisingly large with specific areas for eating and communal activities and others for sleeping. There are usually several pieces of large, carved furniture: chests of various sizes for storage, for example. 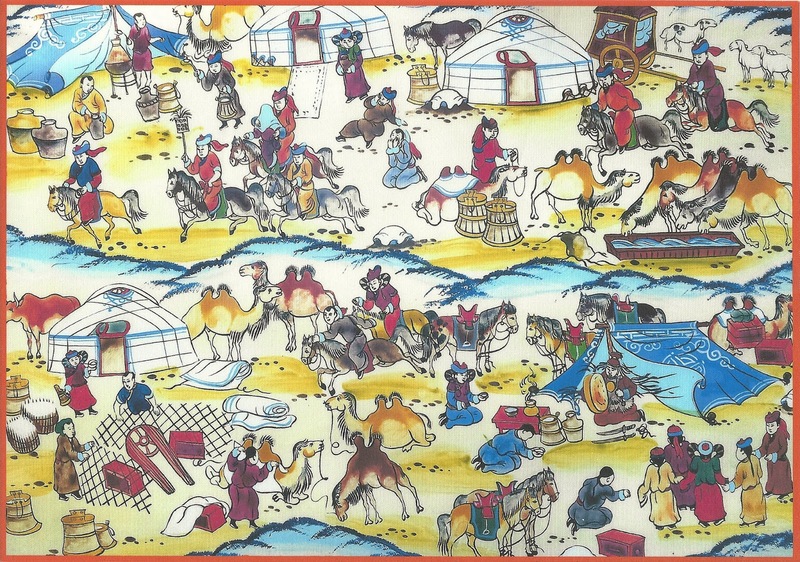 Both men and women participate in the creation of the yurts. It is possible to book accommodations in yurts at several cross-country skiing venues in the US. Mongolia : " The Land of Felt"